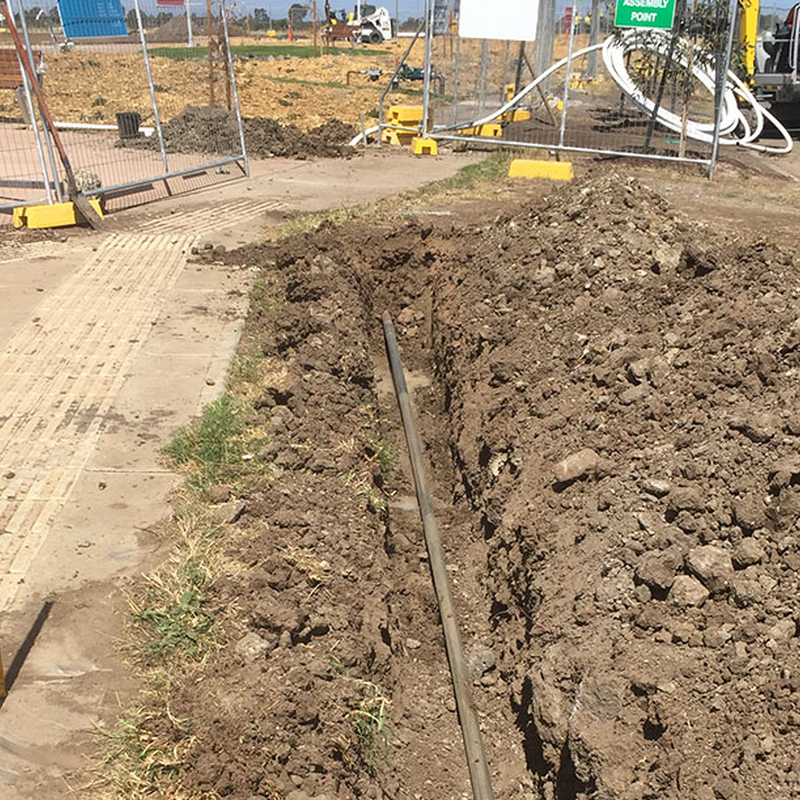 The purpose of this project is to install conduits and pits to connect telecommunications connections to a new commercial facility at Burnside. Strict time constraint was a challenge factor due to the existence of an embargo during the Christmas/New Year period. The works involved locating various underground assets, drilling and trenching in rock along the route, installing P50 conduits for 300m and 4x P5 pits and 1x P8 pit. Due to the number of services in nature strip, McLeod Rail was required to cut and break numerous bays of concrete footpath, and reinstate throughout the Works. 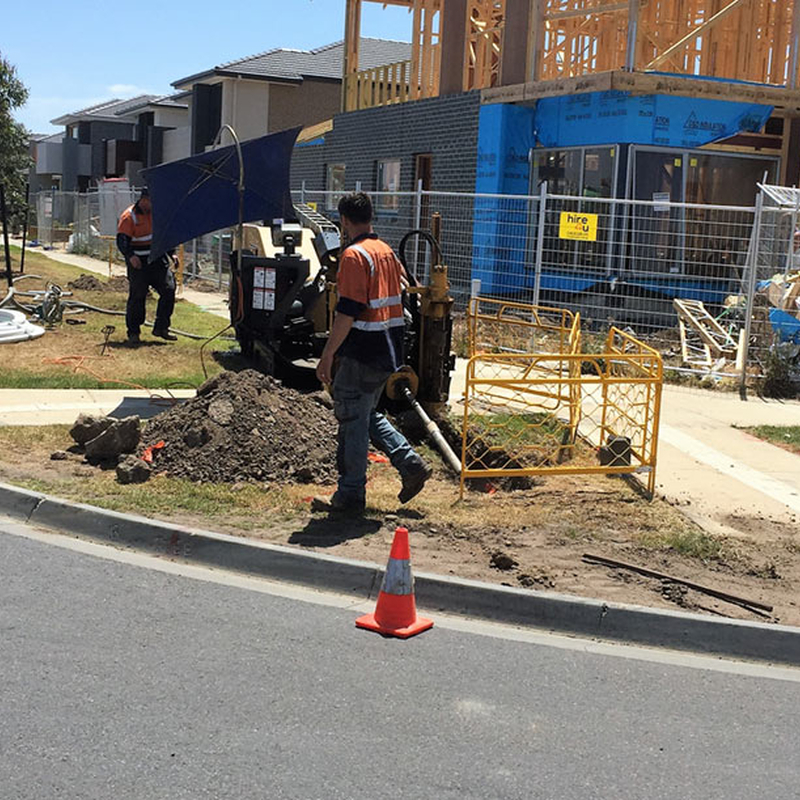 McLeod Rail was able to surpass the time constraint issue by advising a more efficient and less time-consuming excavation route for the client. On top of the proactive engagement, McLeod Rail was able to manage its resources sufficiently to ensure that the works are to be completed on time. Our work efficiency has resulted in the project to finish ahead of schedule and within the budget agreed upon without any compromise to the quality of works that we have performed to.